To place a order please send email with Item Number(s), Zip Code and Shipping Address to Rockhound@netcnct.net . I do not charge any handling charges for orders. Shipping charges are based on exact weight of the package sent to the zip code provided with the order. I will then get shipping quotes and return a email stating the shipping price. My Shipping companies I use are USPS Parcel Post & Priority Mail and UPS Services. Payments can be made with Checks (held until clears bank) Money Orders, PayPal & Credit Cards through PayPal. Besides being the State Gemstone of Oregon, the Oregon Sunstone is a gem grade Feldspar Crystal. Oregon has several mines which produce these fantastic gems. 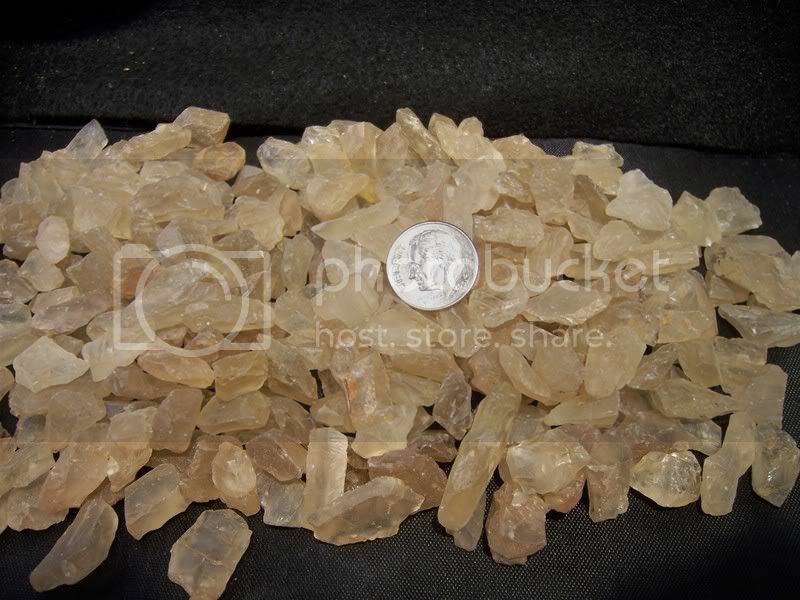 Here's a listing for (3) 1 pound bags of rough, Oregon Sunstones for Tumbling. All of these Sunstones are yellow colored and a few have copper shillers. If your real creative you might be able to find a few small cab or facet grade piece, however much of this is strictly tumbling grade material. It tumbles up very nice and takes a great polish. Here's a small listing of Fossils from Oregon and other locations from around the world. 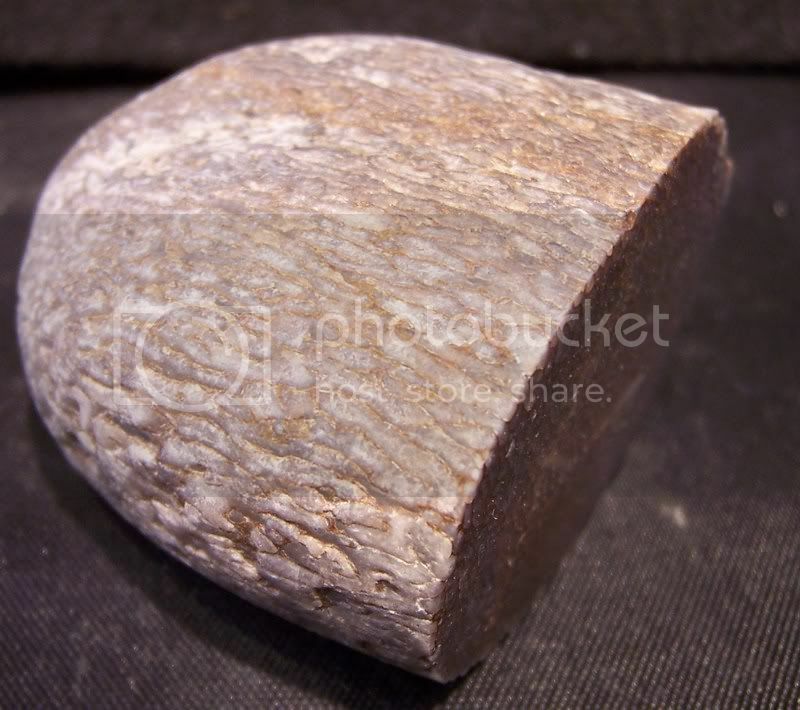 This is a piece of Dinosaur Bone. Unknown species or unknown locality. Just something I found in on of my rock piles. I cut and hand polished this specimen. As you can tell the exterior of this piece appears to have been water worn. Also the cut face has very nice cell structure. 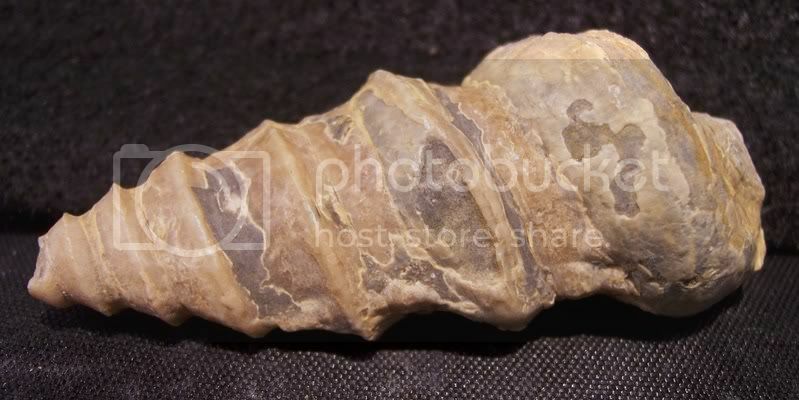 Here's a fossil Turitella Snail Shell. Unknown Locality, but nice detailed little shell. When I had these in the shop the kids would come in and ask if they were unicorn horns! Size 2-3/8" long x 1" thick which of course tapers down. Here's a fossil clam which came from the Oregon Coast. More specific this came from the Beverly Beach. 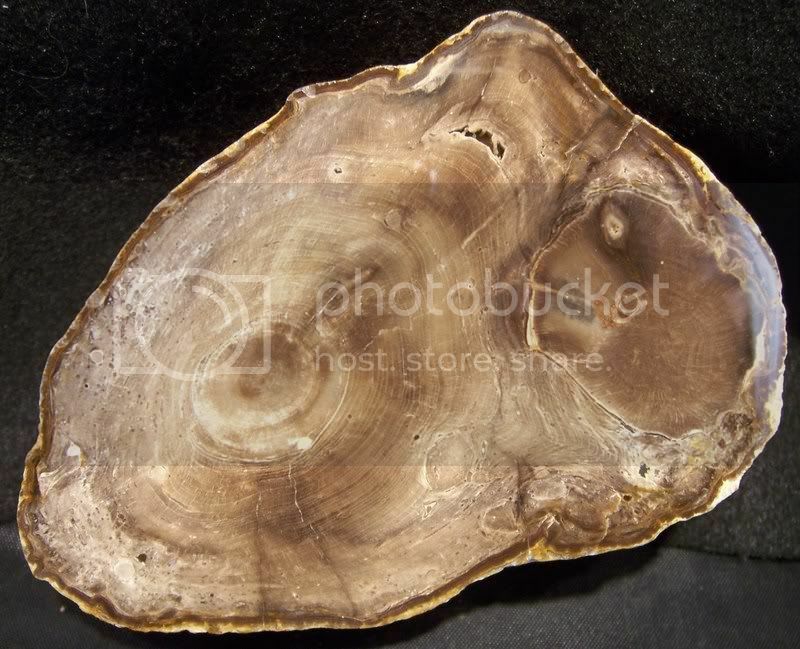 Has good detail, however there's a few area's where the clam itself has weathered away leaving the host rock. This is a neat item I picked up during my travels this summer to the rocks shows. This is a fossilized sand dollar from Madagascar. It's not flawless or a museum piece, but a cool specimen for someone who likes "different things"
Here's another cool item. This came from a Mosasaur. If you search that name, you'll find lot's of information regarding this creature. These Jaw bones with teeth as they claim are real fossils teeth and bone pieces, however the fossil itself is "reconstructed" to make it more attractive for your collection. They are cool items and kids really love to check these out. 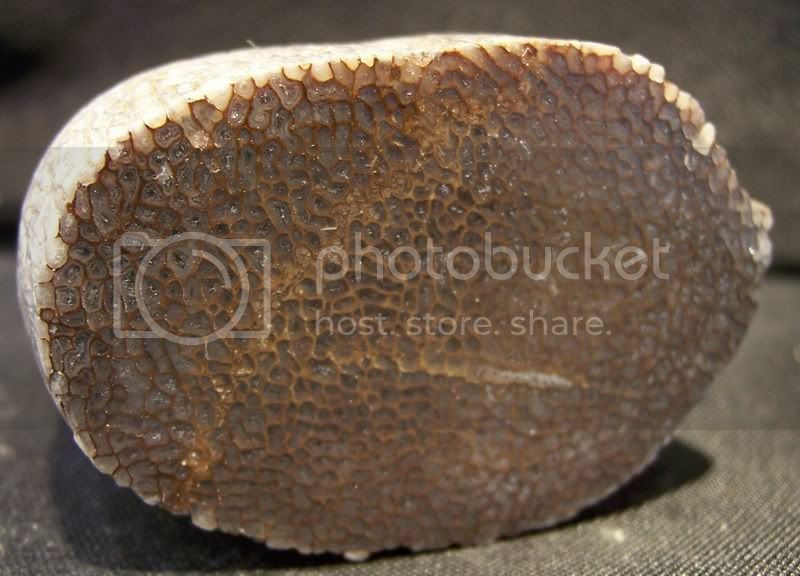 Entire Specimen is - 5-1/4" x 7-1/2"
Jaw's and teeth are - 1-3/4" x 5-1/2"
Here's an Oregon Specimen! This came from a road cut in Eastern Oregon near the town of Heppner. It's a sandstone type host rock with a unknown leaf fossil present. Oregon Agates, and many other agate specimens from around the globe! 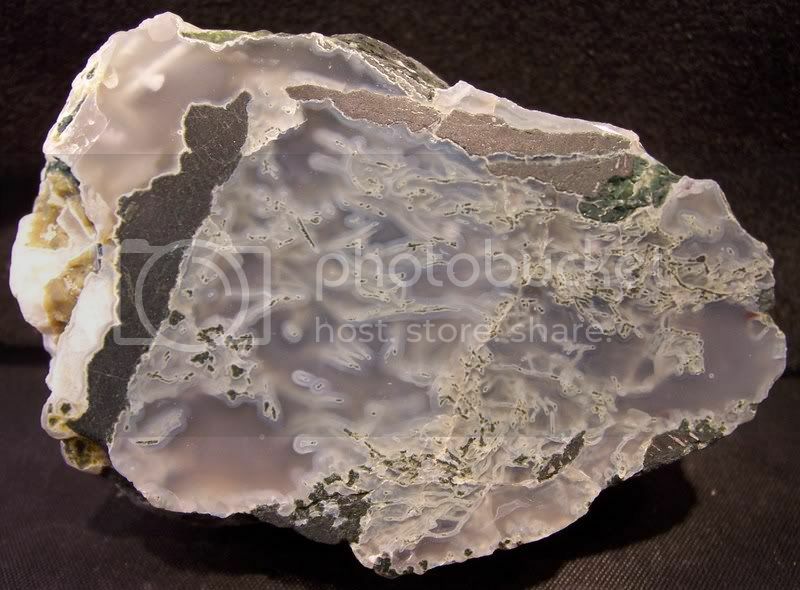 This is a specimen of green tube agate I personally collected many years ago. I dug/collected this piece in Eastern Oregon near the well known Opal Butte. I was about 2 miles into the woods and discovered a Basalt outcrop which yielded two specimens for me. 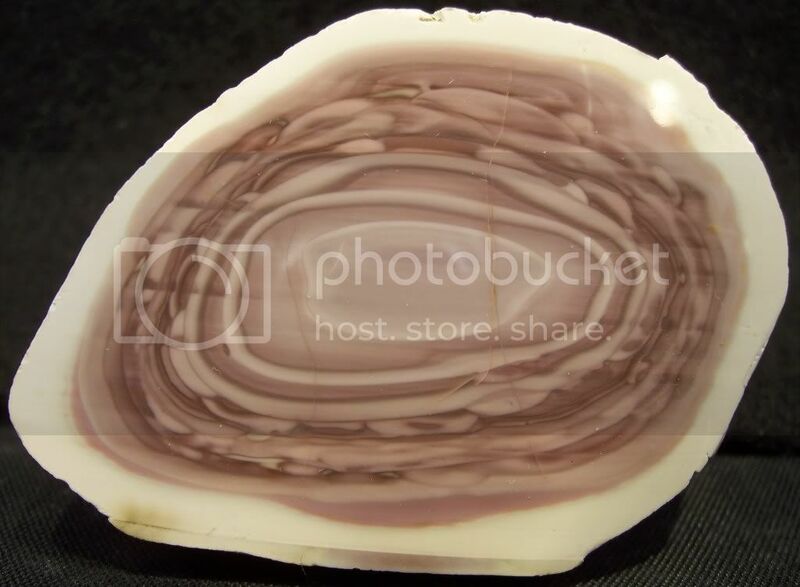 Here's another odd piece of agate. 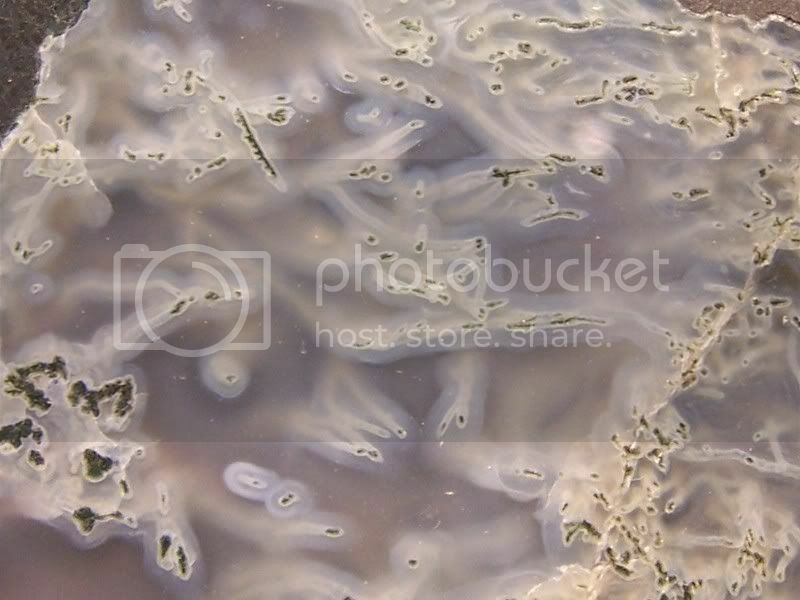 This is called Oolitic Agate also known by some people as "Fish egg agate". As far as I know this came from South East, Oregon. Also please note this is a SLAB. This is a "Limb Cast" from the South Fork Crooked River deposit (Also known as Paulina Limb Casts) from South East of Prineville, Oregon. I personally dug this several years ago and hand polished one end. It's a complete "round" limb section with pink agate and quartz. A limb cast is a process over many years that rots out the organic material leaving a hollow "cast", which is then filled in with the pink agate. Oregon Jaspers, and Jaspers from many other places! This is a great little specimen of Royal Imerial Jasper from Mexico. Bright white outer rind, with a lavender colored jasper center. The pattern is outstanding in this little jewel. 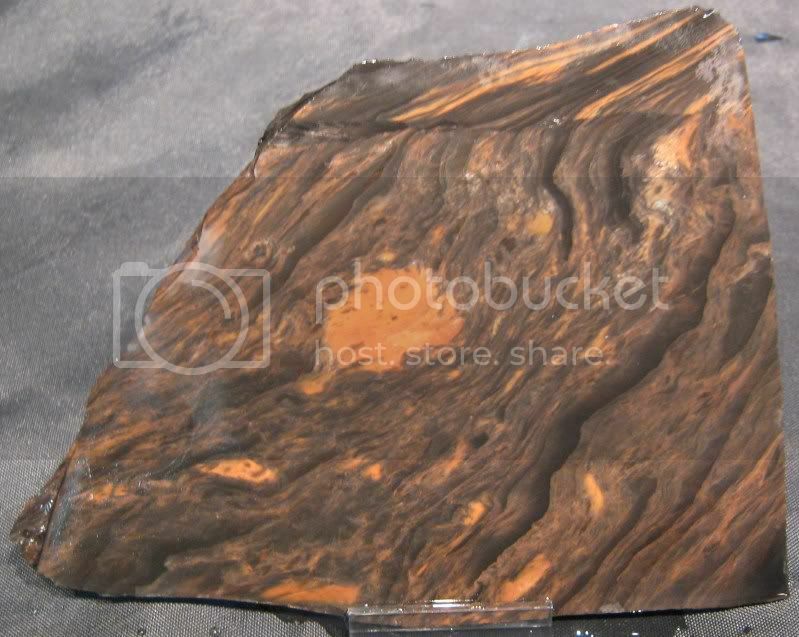 Here's a fantastic piece of Cripple Creek Picture Jasper. This piece weighs 14.1 Ounces and is polished on one face. I got this material from a collection several years ago. Very nice rock! Nice pattern and a very high gloss polish. 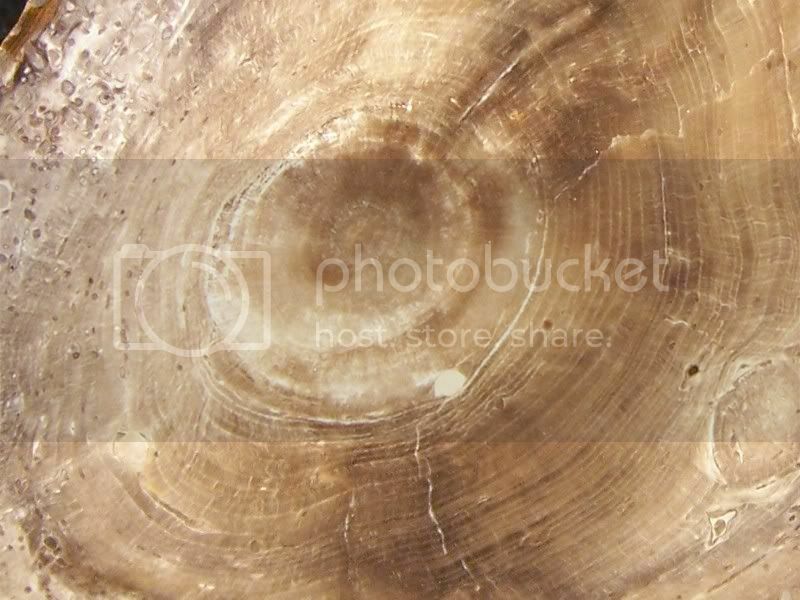 Even though Petrified wood could be called a fossil, I'll still keep an area just for wood specimens. This is a fantastic piece of Petrified Wood. On a sad note I do not know where this piece came from, however I would guess Washington State. As you can see in the enlarged picture is has (2) Hearts and very tight, fine growth ring banding. This is a very nice specimen. Also note, this is a thinner heel type specimen and the item is roughly 1-1/2" thick.